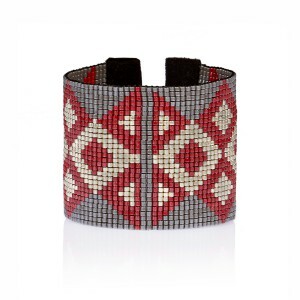 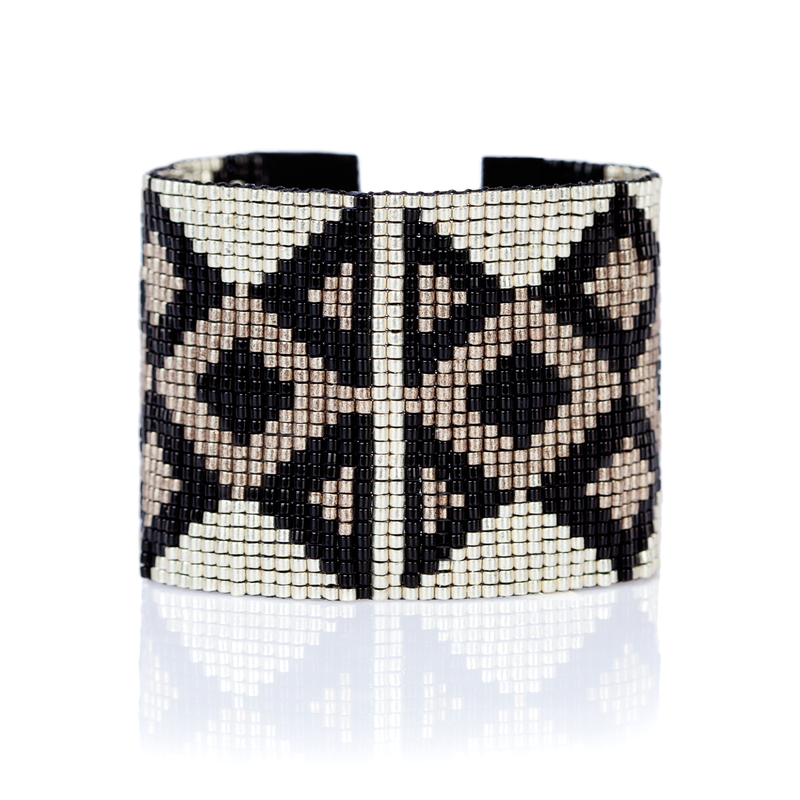 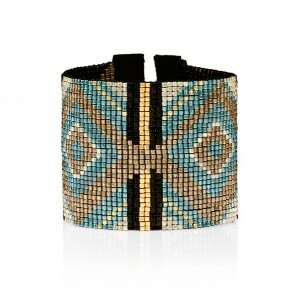 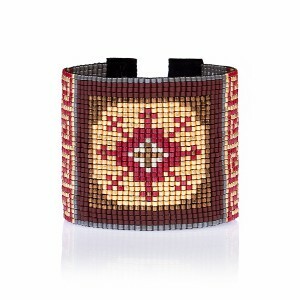 Hand woven cuff made with tiny beads. 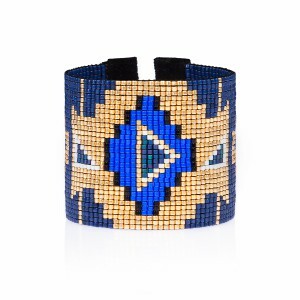 Unique bracelet inspired by Native American beaded art and ancient Greek symbols. The extra durable thread in between the beads give high resistance and longevity to this bracelet. 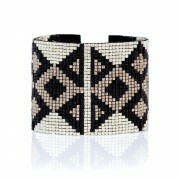 A great combination to wear with all your outfits. 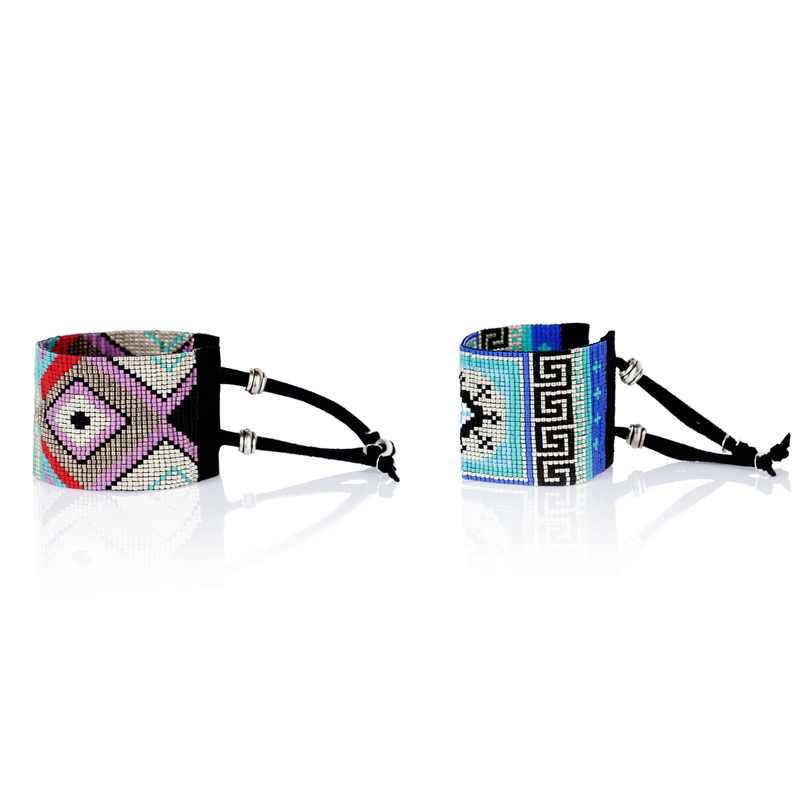 Adjustable silver plated clasp beads and tassel ends. 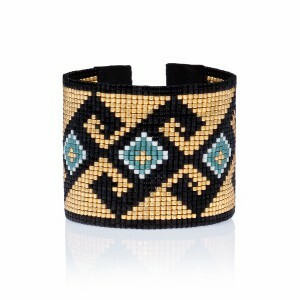 Simply slip cuff on and pull beads to desired size.